Kids need to practice math in order to be successful at it. Free math crossword puzzles are a fun way to reinforce those math concepts. Since kids enjoy games and puzzles anyway, they might as well be geared towards math learning. Now would they rather be doing a bunch of math problems from the text book on page 168 or math crossword puzzle? Of course, they'd rather do a puzzle any day. Don't get me wrong. They need to do math homework from their math book. But kids also need to learn with games. It doesn't matter what grade level your child is at. Crossword puzzles are fun and can be quite addictive at any age. Elementary schoolers, middle schoolers, and high schoolers can all benefit. What about older students? The high school kids. Well, we can't leave them out. They usually start the 9th grade learning algebra 1. 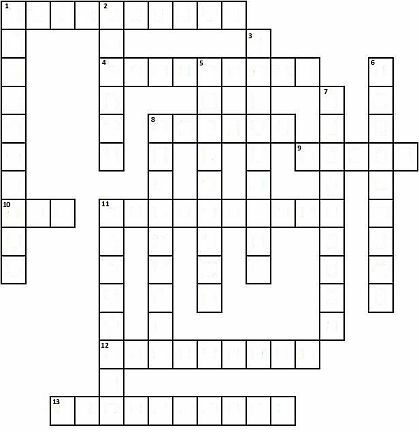 Here's an algebra crossword puzzle that helps them practice solving equations. Stay tuned for more crosswords and math soon.